Decilog’s systems engineering staff has extensive expertise and experience in software testing and systems assurance. Effective testing of computer applications requires a deep understanding of the particular uses to which the software programs will be put and the various systems environments in which they will operate, as well as strong technical knowledge. Additionally, the completeness of the testing phase depends on the creativity and understanding of the many use (and abuse) cases that may impact specific systems. Our approach to cost-effective testing combines automated script tests in a laboratory environment with in-situ testing in a real world environment. This combination provides a wide scope of testing while still meeting overall program schedule needs. Decilog’s technical experts oversee major software engineering programs. Our auditing role includes qualification, cost proposals, requirements coverage, and problem resolution. Our personnel witness testing, attend integration meetings, and ensure the quality of all related software. 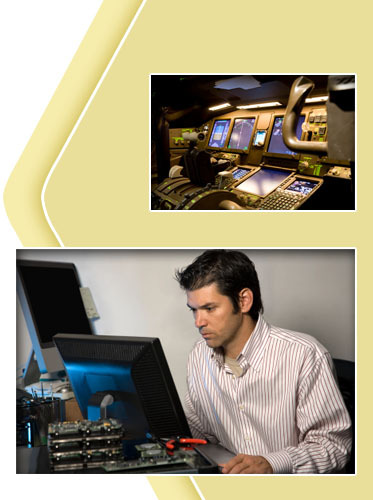 Decilog takes pride in our staff’s ability to thoroughly test the software components of mission-critical control systems in a wide variety of contexts to ensure that the systems will operate under the most demanding conditions. Our processes and procedures meet the exacting and rigorous standards as befits an organization operating within a CMMI™ Level 5 environment.